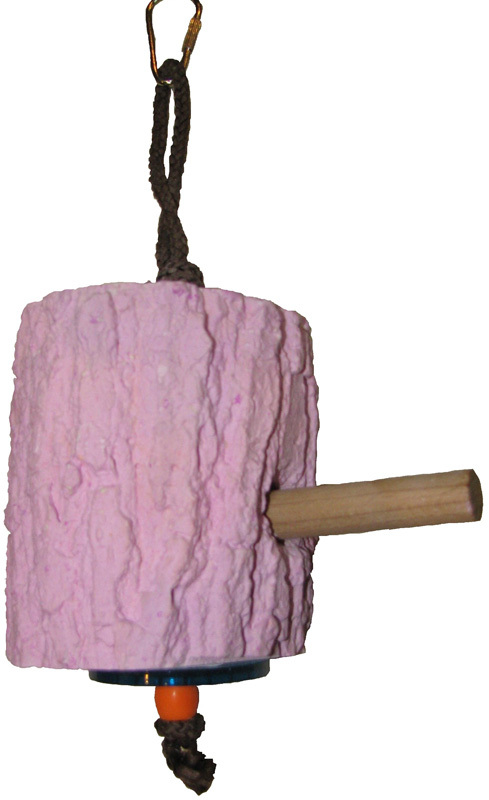 This edible toy can prevent bordom and feather plucking. 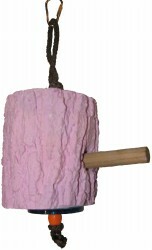 Tap-A-Tree is a calcium enriched mineral block and has a small perch for easy access. No trees were harmed in the making of this toy. Approximately 3 1/2" tall and 3" in daimeter.